(CNN) All those years ago, in 1997, the scene was very much the same. The customary hush of the announcers contrasted sharply with the roar of the crowds, and the screaming sports headlines, alongside the millions bestowed upon the young athlete by various corporate entities, revealed that something quite important had happened. That year, when Tiger Woods won his first Masters and donned the winner’s signature green jacket, golf became thrilling to watch for an entirely new audience. On Sunday, Tiger Woods was back in Augusta and again won the green jacket. But now, the question on the minds of many was different from the thoughts people had when Tiger Woods was a newly emerged phenom: Is it OK to cheer him for his remarkable return to golf’s pantheon? Such questions are important and yet simultaneously are beside the point. It’s been two decades since Tiger’s first Masters, and it is clear that a whole new generation is cheering for him alongside so many that have for so long. This past weekend, multitasking American sports fans, still fatigued from a thrilling NCAA ride, entrenched in the last weeks of the NHL and NBA, and excited by the newly sprung baseball season, was again watching golf en masse, as early ratings reports showed. Why, then, do so many seem to be looking for the right words to talk about Tiger Woods, to describe how the young phenom became a comeback? 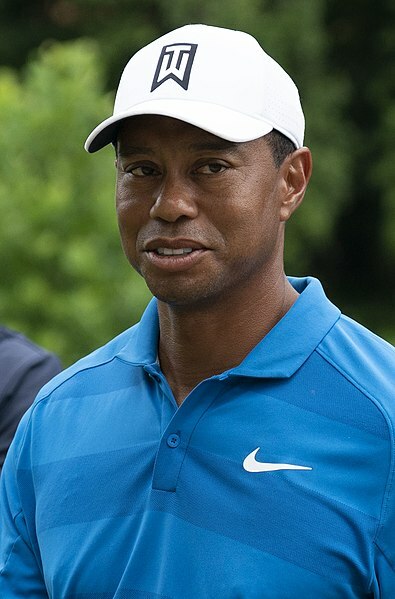 Barack Obama, widely known for his expressive abilities, could only use the euphemistic phrase “after all the highs and lows” to describe the dramatic nature of Tiger’s downfall and historic win. Unlike his debut at Augusta, Tiger’s comeback on Sunday had little to do with his place on a timeline occupied by the likes of Lee Elder, John Shippen, Dewey Brown and Charlie Sifford. The press wasn’t talking about the breaking of a modern color line, as it had so many years ago, or debating his decidedly “mixed” parental heritage — African American, Asian, Native American. Rather, Sunday’s story was about a return to grace after a fall documented everywhere from the lurid tabloid headlines chronicling his marital infidelity and divorce to the medical journals outlining the odyssey of his multiple injuries and ongoing back pain. His legend needs little more than a show of numbers: 81 PGA victories, 15 majors, and five green jackets. But the impact that Tiger has had on the game, as well as the people who watch it, transcends the stats. The span of time alone makes this a thrilling sports story. His last green jacket came in 2005; his last major win over a decade ago. But what fills those years — the dashcam video seen around the world, the drive-by diagnoses, the high-profile girlfriends, the numerous surgeries, the DUI arrest just two years ago on Memorial Day — has created a complicated sports hero, one who carries enormous baggage from hole to hole. It’s worth noting that Sunday was the first time Twitter got to experience the so-called Tiger Effect, showing crowds glued to television screens in bars and in airports, inventing memes of Michael Phelps, no stranger to a grand comeback, leaning in at the 16th hole. Praise came from all sides of the political spectrum. In addition to Obama’s praise of Tiger’s “excellence, grit and determination,” Donald Trump, recently eviscerated as a consummate golf fraud by Rick Reilly in “Commander in Cheat,” tweeted that Tiger was a “Great Champion,” capital G, capital C.
Serena, a former number one tennis player who is just shy one shy of a record-equaling 24th Grand Slam title, knows well the uphill battles an aging athlete faces, perhaps particularly a woman. From her win in Australia while pregnant, to her life-threatening scare after the birth of her daughter, Serena has battled both on the court and off. Why, she publicly asked, did she return from maternity leave as an unseeded player at the French Open? What was tennis trying to say to women and their decisions about motherhood? Welcoming Serena back was complicated for many, with cover story after cover story focusing on the details of the mythical work-life balance of a parent, a conversation that has been absent from Tiger’s return with Charlie and Sam, his children, in tow, with people marveling over their ability to see their dad on top once again. Tiger’s redemption has not been an easy road. Even in his heyday, he was often accused of ignoring fans and the press equally. But he occupied that rare space that few others — including Serena — have inhabited, with his behavior excused by his double-digit victories and awe-inspiring shots, his prowess and his legend. That Nike, one of few corporate sponsors who stood by Tiger, was ready with its “Same Dream” campaign, shows just how thoroughly he has been welcomed back into the fold. The black hat, red shirt, and black pants remain recognizable, as does the habitual fist pump. But much has changed. Once accused of arrogance and aloofness, Tiger now seems comfortable, engaged, his fingers lingering on the brim of his familiar cap, a small, subtle move that to former critics seemed like an enormous leap of gratitude and generosity. So as Trump declares that Tiger will receive the Medal of Freedom for his achievement, perhaps a language has been found to talk about Tiger, but it’s an unchallenging, uncomplicated, almost disappointing one that doesn’t ask much of fans or pundits, a language of gentle nostalgia that lets bygones be bygones and brings Tiger back into a rarified fold as something once again phenomenal, even more so now because of all that he has dealt with and overcome. It is a language that sheds a tear as images of Tiger and his dad are replaced by those of Tiger and his son. It is a language that sets aside, if not forgives, all that sits between the last victory and this one — for the good of the game. How many Masters wins does Tiger Woods have? We detail Woods’ green jackets and history at Augusta.